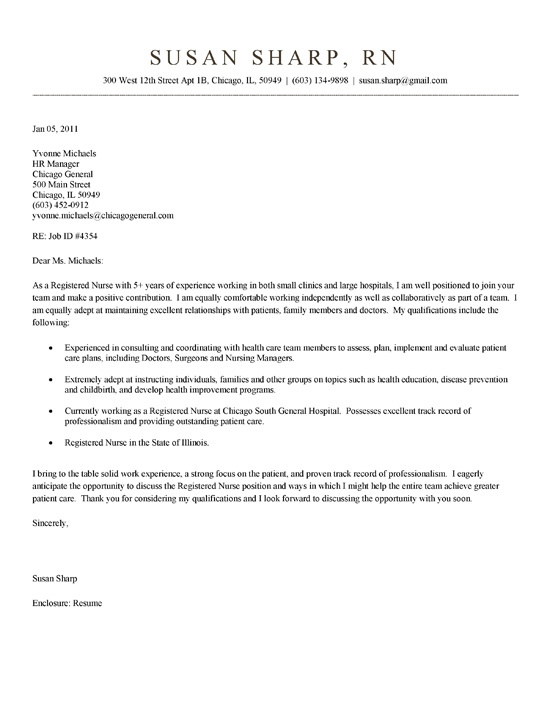 Nurse Cover Letter Example for professional with job experience as Registered Nurse. This works as a good guide for anyone in nursing or related health care provider. The job seeker is straightforward in their introduction showing 5 years of experience as a nurse in hospitals and clinics. They emphasize the ability to work individually and as a team. This person also stresses their capability to build strong relationships with doctors, families and patients, which is an excellent tactic. 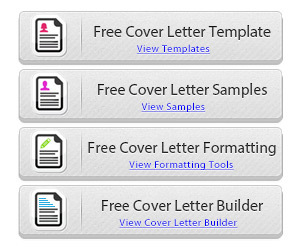 In the body of the cover letter, the job seeker includes a number of relevant qualifications including: nursing, patient care planning, health education, disease prevention and health improvement programs. Again the information stress consulting and conveys a message that this individual really cares about people. Even in the closing paragraph the individual mentions improving patient care. Most nurses will be capable of doing a variety of nursing duties. To set yourself apart from competition, you will have to focus on what you do extremely well and / or additional responsibilities that you may have learned by working in a specific area of medicine. Some nurses can operate medical devices in neurology that other nurses in pediatrics may not know. Also, there are professionals, such a flight nurses that are very fast and efficient at starting an IV. 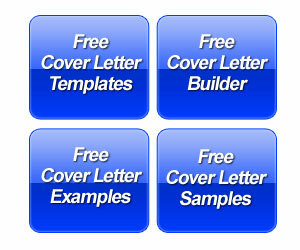 Make sure you identify your strengths on the cover letter. In addition to your specialties, try to highlight any accomplishments. If you have awards or went out of your way to do something great, don’t be shy about putting this on the letter. Sometimes there are situations where there was not a specific achievement, but you know you did a great job. An example might be working in emergency on a busy night short staff and being able to take care of patients and even save lives by prioritizing and doing tasks normally left for the physician. Try to think of actions you took in the hospital or clinic and how your impact created a positive result.